Poster, t-shirts and packs for Ultimate Team. GAME presented the incentives, and specials for booking that we will save our copy of FIFA 17 in their establishments. The title, the day will come September 29 to consoles and PC. One of the main exclusive gifts that you will offer GAME is a poster with the four main players Marco Reus, James Rodriguez, Anthony Martial and Eden Hazard. But there will be more, because the GAME will present exclusive official kit FIFA Ultimate Team, offering a shirt of various sizes. The chain store advertises that if you buy it with any edition of the game, only it will cost us 15. the GAME will also present the Deluxe Edition, with bonus digital content: 20 sachets Gold Jumbo Premium FIFA Ultimate Team (one per week for twenty weeks), 1 Team player of the Week on loan for three matches (one per week for twenty weeks), 1 player FUT on loan for 8 games and kits special for FUT. finally, all of those users who book the normal edition also takes bonus digital content: 5 tokens for FIFA Ultimate Team Draft (one per week), 1 player on loan in FUT for 8 games and kits special for FUT. The reserves of both editions will receive the poster exclusive GAME gift. 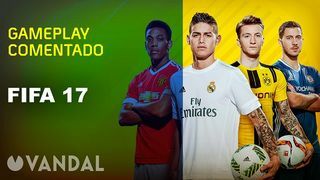 FIFA 17 come to Xbox One, Xbox 360, PlayStation 3, PlayStation 4 and PC on the 29th of September. You will use the engine Frostbite to search take a technological leap and improve their graphics and physics. will Include a new story mode, and present coaches of the Premier, as Pep Guardiola, Arsene Wenger and Jurgen Klopp, as well as Mourinho.